Hair trends 2015 vote for long hairstyles, but it doesn't mean that you can't look modern and attractive with super stylish short haircuts. Just on the contrary the pixie haircuts will make you look unique and will underline you facial features. But before going too edgy and crop off your tresses, you should consider some important things. 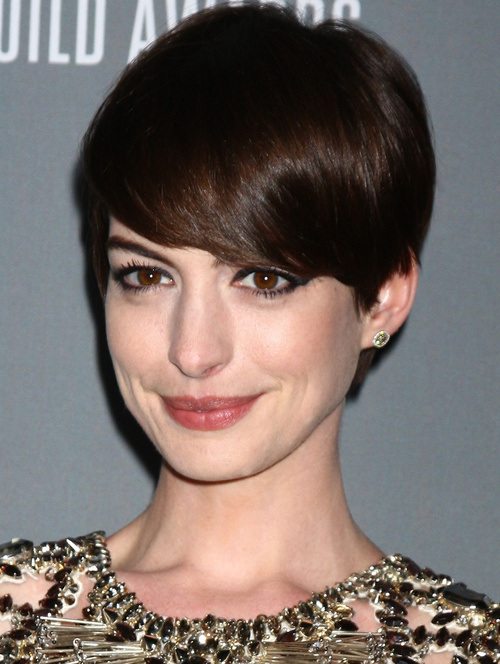 For wearing short hair you should have ideal and very soft facial features, and big eyes. 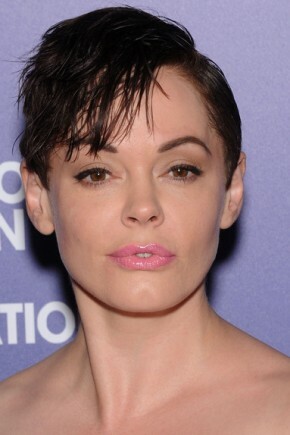 If you are a bit fatty then consider pixie haircuts with long side bangs to visually elongate your face. Anyways the spring summer season is already in here and it's high time to change your looks and get the most inspiring hairstyles 2015. If you didn't have time enough to grow out your tresses, then make the contradicting change and choose popular short hairstyles. The blond hair color by itself is quite extravagant and combined with stylish short pixie looks smashing. 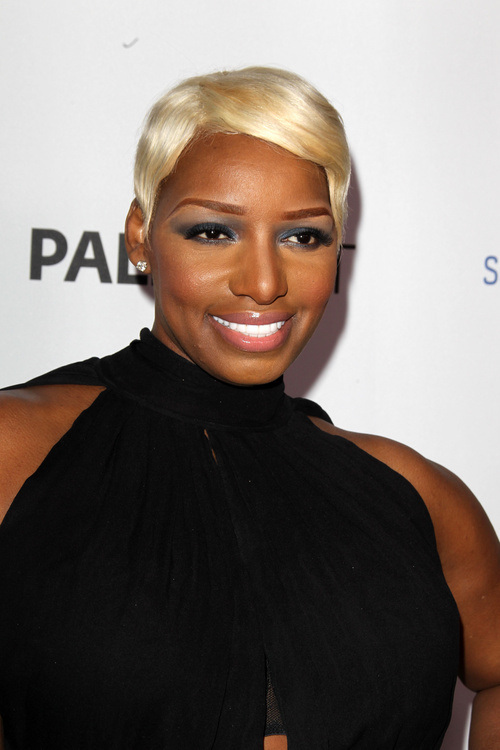 Pixie haircuts for black women also look fantastic. Pixie hairstyles are not all alike and in reality can introduce great versatility. You ca style your pixie wavy, it works especially well for those with natural waves like Audrey. And you can have your pixie straight and sharp, with longer side bangs, layered and stylish. You can try having any pixie ypu like, from extra short to longer once, with and without bangs, but considering your facial features, face shape and eyes you will choose the best solution for yourself. 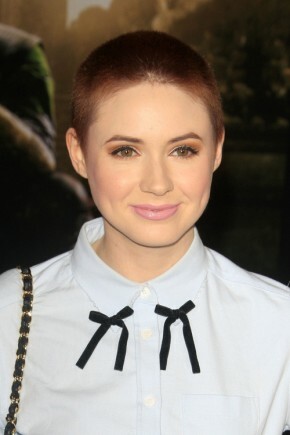 If you have round or square face shape you should try pixie haircuts with bangs, that are layered and elongated. The above pictures once again show the great choice between styles of pixie cuts. You can have a classy look with a bit longer layered short haircuts or you can choose such extra short cut that is very youthful and funky, mostly I will advice such daring style to teen girls. Not all the celebrities sport long hair, and many intentionally prefer shorter hairstyles to look more modern and stylish. 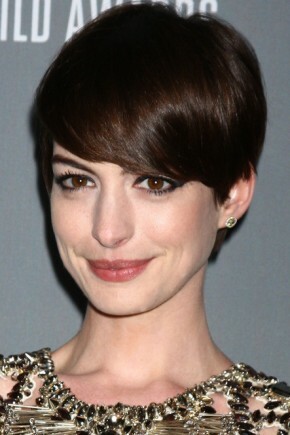 Again for round faces the pixie haircuts should be with bangs, swept to one side they look more elegant. And if you are the lucky one with very tender and delicate face lines and big brown eyes, then be sure that any short haircut will fit you and make you look astounding.